After a perfect evening – dinner date at the favorite restaurant with a cocktail and a bottle of wine, a couple decides to go home. They encounter a DUI checkpoint and turns out that the police officers did not think the sobriety of the driver was perfect, and now the driver is imposed with a DUI or driving under the influence of alcohol. If this is not his/her first offense, the individual may have to end up not just bailing himself out of jail, but bailing his car out since they impounded it as well. So you might be wondering when and why does police impound cars in DUI cases? Here is a punctual introduction to vehicle impound after a DUI arrest. In most cases, the police will partner with a local tow company for cases just like this. With one phone call from the officers, a tow truck arrives after you have already been taken to the station and hooks up your vehicle for towing. Where it goes from there depends on some details around your arrest. In case it does get towed, you can bet that you will be held responsible for the fees for the towing and will pass on to you. Sober passenger: The police officer may allow a sober, legally-licensed passenger to drive your vehicle home if you allow it. Although, they might as well be in cuffs for letting you drive while intoxicated so this might not always be an alternative. Safe location: If you were not pulled over on the side of the highway but rather in a parking lot or different location relatively clear of traffic, police officers might consider that your car is safe to stay there for the time being. Although, this is an uncommon practice, so you should not bank on it. 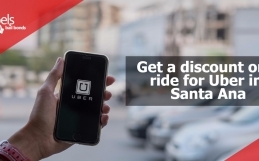 Under Santa Ana DUI laws, drivers may have their car taken after committing a second or third drunk driving transgression within a given period (commonly five years). This vehicle impoundment has the goal of preventing future drunk driving incidents by taking the vehicle away from the driver’s control. Vehicle impound for a DUI or DWI almost always is defined to repeat offenders, and it has become less common with the growing use of Ignition Interlock Devices (IIDs), which deter intoxicated drivers from starting their car. Rather than impounding your car, the criminal justice system is likely to install an ignition interlock device inside your vehicle. Not only this device stop you from driving if your blood alcohol concentration level (BAC) is too high, but the state also charges you for each month installed. In this way, it is a strange win-win: you can continue to drive your car for as long as you are sober, and the state gets money out of you all the same. Considering the IID prevents DUI offenders from driving while intoxicated, the government no longer has a reason to impound the offender’s vehicle. Some state courts have also commanded that vehicle confiscation can be an excessive penalty in some cases and have limited its use. This area of DUI-related law remains to evolve, however, be sure to check the current laws in your own state for further information. Vehicle confiscation typically is handled through an administrative process, instead of as a penalty imposed by a criminal court following a DUI proceeding. The individual normally has the option of an appeal through the civil court after an impoundment, rather than within the criminal court that controlled the drunk driving charge. In most cases, the offender may regain possession of the vehicle after paying fines and administrative fees. 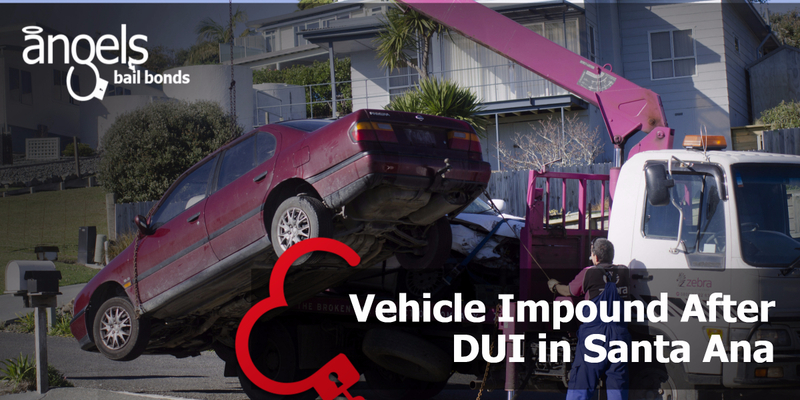 Vehicle confiscation is considered an impediment of potential DUI offenses rather than a permanent solution. However, vehicle seizure and forfeiture can be perpetual in some rare cases. 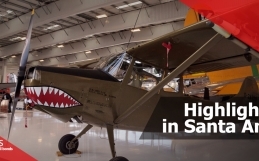 In Santa Ana, a motorist convicted of driving under the influence could be subject to vehicle forfeiture if his license was suspended or revoked because of a prior DUI conviction. Other states have similar rules in place. Most states require some test to determine whether vehicle confiscation is unfairly excessive about the underlying illegal offense. Most courts have found that the public danger supposed by repeat DUI or DWI offenders justifies impound in the vast majority of those cases. 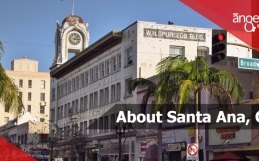 For help with a DUI bail bond, contact Angels Bail Bonds Santa Ana here. A DUI charge can be sufficiently scary without adding the concern of losing your car. If you have been arrested or charged with a DUI, or even if you just want to acknowledge your rights in such scenario, have a DUI attorney review your case at absolutely no cost to you.